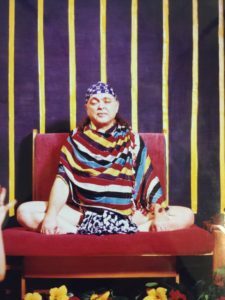 –Immersed in the Infinite All-Pervading Force Field of Divine Life, free of fear, open-eyed, God-Confessed and surrendered, having bowed down through the Grace of the Divine Guru, we enter into relationship with the Heart Supreme. 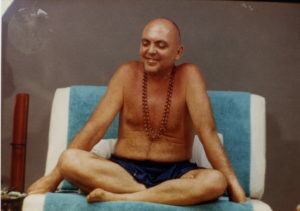 Why I surrender to Adi Da. 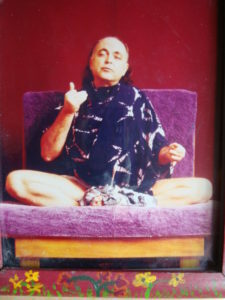 I’ve asked myself on many occasions why I devote so much time to contemplating Adi Da’s picture and the simple answer is that I’ve no one in my conditional world that I get peace of mind from. 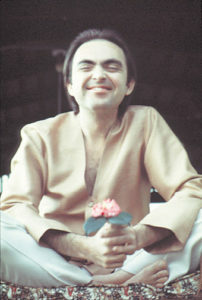 It was Adi Da Samraj, at the beginning of my formal Sadhana, some 30 years or so ago, I saw to be my last resort. 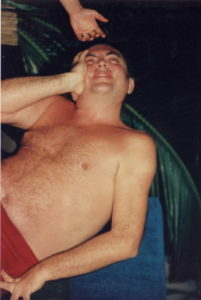 After everything else had failed Adi Da comes along, shouts at me via the Dreaded Gomboo essay, telling me loud and clear to Stop Doing my suffering, to take responsibility for my destiny, for my Only Real Cure. He said, Peter there is no one or no thing that can cure you of your suffering other than simply surrendering to God via the ongoing practise of devotion to Me, the Divine Person, the Divine Agent. Either I understood this or I didn’t; well, needless to say, I did. I understood because I could see and feel this ‘doing’. It was so obvious to me that I was doing what He called the self contraction. wow! 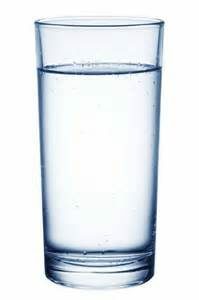 Here, for the first time in my life, I had the answer: to stop seeking a cure via worldly alternatives, that were always failing me, never giving me a cure that was ongoingly successful, but to have this love relationship with This Person of love, accessible even in a queue in a supermarket. Another Wow! 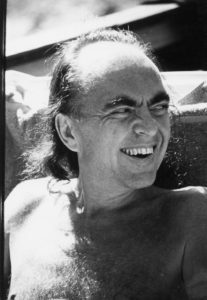 So, although Adi Da seemingly became my last resort at the age of about 35, he in fact became my first resort, and continues to be. Wow! LOL. I don’t know about you and the reason, or reasons why you have become His devotee, but I do wonder if there are many devotees who can share the plight, the karma that spurred me into finding my Only Cure? Would you like to hear why it’s necessary for me to use Him throughout each and every day as my Only Cure, the Only Cure for a loveless heart? Well, simply because everything and everyone failed me. My parents failed me, my siblings fail me, relations failed me, and continue to do so, my religion failed me, my teachers failed me, my friends failed me, my music failed me, my diets failed me, my medication failed me, books failed me, self help groups failed me, work failed me, students failed me, lovers failed me, belief failed me, counsellors failed me, other religions failed me, my mind fails me, my desires fail me, Adidam failed me, devotees failed me, I failed me, even my four attempts to kill myself failed me! Can you beat that? Yes, of course there were times of happiness and times of self fulfillment, but none of that happiness or joy extended more than a few hours, or possibly a day or so. My suffering was so blatantly obvious that I was forever seeking cures, here there and everywhere. So what were the symptoms of my internal suffering, what were the results of my self contraction? For years and years, from infancy to my Thirties, not just the odd day, or 5 minutes here and there, but on going for years, I suffered asthmatic attacks, head banging, temper tantrums, suicidal feelings, anxiety attacks, neurotic tendencies, self consciousness, profuse sweat attacks, migraines, headaches, nervousness, self destructive tendencies, nightmares, paranoia, delusions, illusions, The Dreaded Gomboo without a doubt. I suffered, and at the same time I was expected to function, to earn a living. 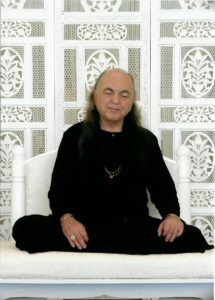 If it wasn’t for the fact that I had a deep connection with Jesus, with God, I wouldn’t have survived, but I needed a reason for my suffering, and it wasn’t until Adi Da came into my life that I eventually understood. 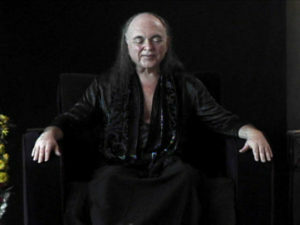 So what doesn’t fail me now is the self understanding that Adi Da has given me. 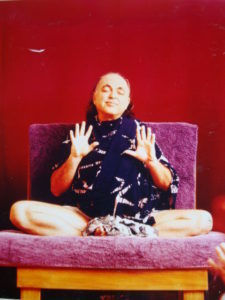 I understand that I did all of that suffering, and still have the tendencies to do, but I need not anymore, and as long as I continue to resort to Adi Da, I no longer suffer. I require His Grace entirely for a life of Real Happiness, a life that really is a pleasure to live. I have been with my Beloved Guru, Heart-Master Da since May of 1972, one month after He officially opened the Ashram in Los Angeles. Since that time I have sat in Darshan with Him hundreds, if not thousands of times. As was customary of His sitting with devotees in a large group, He would come in, sit with his legs crossed in a lotus or half lotus position and begin to meditate all of us. Most of the time Beloved did not move, except to sometimes gaze over the crowd of devotees, making occasional eye contact with people, and sometimes, during certain meditations with Him, His Body would often spontaneously animate certain hand mudras. 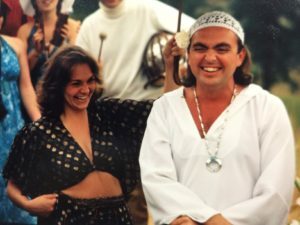 On one of these occasions at The Mountain of Attention Sanctuary in northern California, I happened to be sitting next to a brand new student beginner, there for her first Darshan event. She was an older lady, and I was thrilled to see her excitement at seeing Beloved for the first time. When Beloved came in and sat down, the room got extremely quiet as it usually did during our time of sitting with Him. On this particular occasion He began animating hand mudras almost immediately. This was the first time I had seen this happen so quickly. 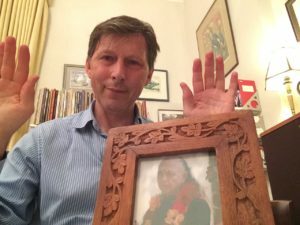 As I sat there with my attention on Him, I noticed something about one of the hand mudras He did and thought to myself, that’s odd I don’t remember Him ever doing that. At which point, the new lady student next to me burst into tears, and was weeping uncontrollably. She then told me a story which really did blow my mind. She said that when she was a little girl, she would talk to God constantly, bargaining with Him to reveal Himself to her in life. She said that when she was in her twenties, she made a deal with God that if He lived in the world, He should reveal Himself to her by demonstrating a certain hand gesture that only she and God knew about. She had been a seeker for years and had many teachers, and she always looked for them to display the special hand gesture that would prove themselves to be the Incarnate One, but none of them had proven themselves to be genuine. This was her first sitting with Beloved, and within the first few minutes of the Darshan, He had demonstrated to her the hand gesture she required for proof of the Incarnation of God, at which point her eyes filled with tears of gratitude once again. She then told me how grateful she was for her first Darshan occasion. 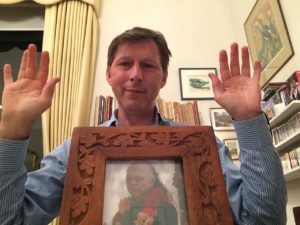 For me, over the years, I have looked to see if Beloved has ever done this one particular hand mudra again, and I have never seen Him repeat it in any Darshan I have personally had with Him. This leela showed me even more that the story from the Hindu Tradition of Krishna and Radha is really true. 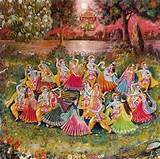 In the paintings where the Rasa Leela or Round Dance is taking place, Krishna is shown in the center of a circle of female devotees, dancing with one woman, Radha, the chosen one. The other women who are encircling Krishna are blissfully, and jealously pining to be in the center with him, all wanting to be in Radha’s place. I realized once again that we are all in the center Dancing with Beloved. He Dances with every one of His Devotees Personally and Intimately according to their particular needs. (In some versions there is also a form of Krishna dancing both with Radha in the center, and also with each of the ladies in the larger circle. 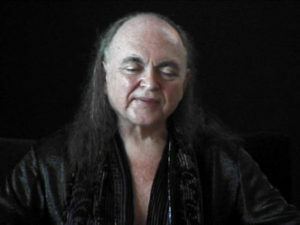 Adi Da has described this as a way of rightly understanding the Guru-devotee relationship. That we all dance with Him individually, each one of us. )Just as with this new student on this Amazing Darshan Occasion. It just shows me again how our relationship with the Divine Heart-Master is Absolutely Personal and Perfect for each and every one of us now and forever. In 2010, the night before my birthday, my husband Carl informed me that we would be going to a birthday lunch at a fancy restaurant with family and friends the next day. We don’t eat out that often and so this was a rare treat and I was excited about it. When I went to sleep that night I had a wonderful dream. I was in a place that resembled a small theater. On the stage was a long platform built the entire length of the stage, with three very large steps leading up to it. Beloved was sitting in His Chair at the top of this platform, and I was sitting at the bottom on the floor below the last step. There was a sheer black curtain stretched the entire length of the stage between myself and Beloved. The curtain stopped at the top edge of the platform above, so that the stairs were free of the curtain down to where I was sitting. Beloved was sitting facing out to my right side, so all I could see of Him was His profile and the right side of His Body. It felt as if there were thousands of beings who were behind this sheer curtain with Him, and it felt as if the space behind Him, was Bigger and more Vast than the Universe itself, but not empty, it seemed crowded there in fact. Beloved appeared very Bright in His Chair, but everything behind Him was black and I couldn’t see anything beyond Him. He was literally outshining everything behind this sheer black curtain and nothing else behind Him was visible although I could sense and feel beings, I could not see them, no matter how hard I tried. I could sense and feel that He was having an intense non-verbal conversation with them on the other side of this sheer black curtain, and although I kept trying, I just couldn’t penetrate this sheer curtain to see into the blackness beyond, only Beloved remained visible. 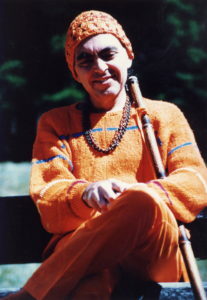 I could feel He was addressing everyone on the other side about their practice, as He did with devotees when He was alive, and could feel Him intensifying my own practice as I sat there, even though I could not hear what He was saying nor see those he was communicating to, his communication to me was very clear. When I got the message, all of a sudden Beloved stopped His address to those on the other side and turned His Head to His right to see me sitting there at the bottom of the platform steps. 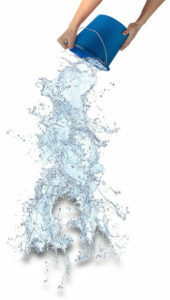 He got up as if He had been waiting for me, walked to the back of His Chair, grabbed a bucket of water that was just to His right side, came out from behind the sheer black curtain, took one step down the platform steps and dumped the entire bucket of water on my head, saying: “Now you can go to lunch with Carl”. He then walked back behind the sheer black curtain, behind His Chair, sat down and once again began addressing those on the other side non-verbally. When I woke up after the dream I felt completely Blessed, realizing I had received the most Wonderful and Personal Darshan Birthday present . It says in the spiritual Traditions that the Grace of the Guru not only extends to His Devotees, but also extends to the family members of His devotees as well. And that lesson became ever so clear in the case of my mother’s passing. I was never brought up in a very strict religion, although I was brought up as a Catholic. But, over the adult years of my life I became more interested in the process of life and what it was all about, and I became more of a seeker in finding Truth and Reality, because conventional religion seemed shallow and superficial to me. 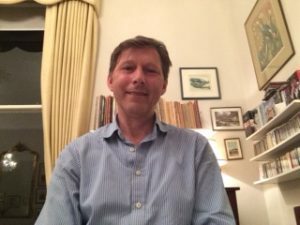 At one particular point in my search I did realize that I needed help, I realized that I needed a Spiritual Teacher, and I knew that I was not going to go to India to find one. In 1983 in one of my periods of intense seeking, I stumbled on a spiritual book store in San Rafael California. 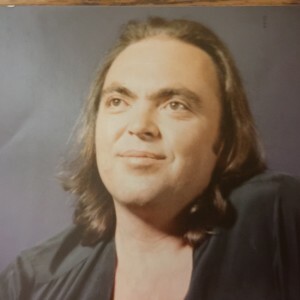 In the front window of the book store was an enlarged poster sized photo of Beloved Adi Da. And as I looked at the photo, I was thinking to myself, He looks about the same age as me, so what the hell does He have that I don’t have, in somewhat of an angry cynical manner. This only added to my frustration. I entered the bookstore and bought a book that was recommended to me to read. At that particular period I was very frustrated and cynical in general in my quest for understanding of what life was about. So I bought the book that was recommended to me, took it home, read half way through it, put it down and felt that it didn’t satisfy my need for answers. I went back to the book store, browsed around a bit, and saw that on a table there were several books, featuring “The Knee of Listening”. I picked up the book and began to browse through it, going to a section in the back of the book called “The Wisdom of Understanding.” I read maybe two pages and realized that my search was OVER. In just those two pages my questions were answered. 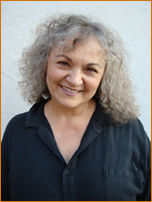 I bought the book, took it home and read it, and realized at that time I had found my Spiritual Teacher. 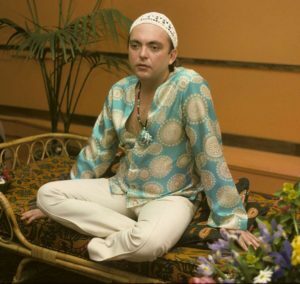 Shortly after that I became a devotee of Beloved Adi Da. And as a new student beginner of His work, there were study courses in the Traditions, and I became more familiar with all of the Wisdom Teachings of both Eastern and Western philosophy. And so throughout the years I would have conversations with my mother regarding the Spiritual Traditions and these different points of view. As my understanding grew, I would convey my understanding to her. Although my mother was somewhat skeptical she listened. 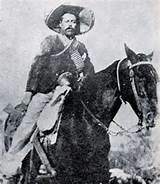 As I grew in my understanding of the difference between the Great Tradition and Beloved’s Teaching, I would also convey this to her, and at one point she began to see and feel the difference, and was somewhat more open in her understanding. Yet still not completely converted. In 1993, my mother took a turn for the worst after a stroke she suffered two years earlier. My wife and I were by her bedside in the hospital a couple of days before her passing. She would lapse between a semi-conscious and unconscious state, never seeming to fully regain conscious awareness. It was in a moment of being in the semi-conscious state that she, out of the blue, spoke up and said: “Take me to Fiji, Take me to Fiji, He loves us, He loves us. 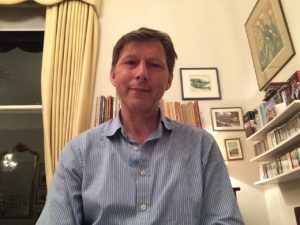 He’s with us all the time.” At that point my wife and I looked at each other with an Absolute look of Astonishment on both our faces and wondered where did that come from. I spent the rest of my time with her until her passing a couple of days later, all the while feeling my Guru’s Presence very strongly, I know He entered the room and was sitting with me. What I realized was that out of all the conversations I ever had with my mother with regards to religion, she had listened to the point of being able to receive the Gift of Love and Compassion at the end of her life. Beloved’s Grace and Compassion had taken care of her on her death bed, and completely consumed her. Her death seemed to be an easy transition, for which I was completely grateful. 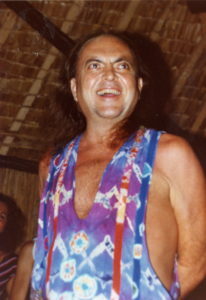 I bow down at the Feet of my Beloved Master Adi Da, who’s Loving Grace fills our hearts with Love.